Chairman of the first workers council in Germany. The workers in Österreich-Ungarn stage the Jännerstreik, because they fear that the German OHL, after the fall of the Czar and the October Revolution, will sabotage the peace with Russia by exorbitant demands. Shortly afterwards the German workers go on strike (Januarstreik). Kiel starts at 25th. On the Wilhelmplatz a workers council is elected the day after. Lothar Popp (USPD) becomes chairman. He is apprehended the next day by a military patrol and is jailed for 2 months in Neumünster. The other USPD speakers: Theil and Strunk get 2 resp. 1 1/2 years. Thereafter broad sections of the population do no longer perceive the war as defensive but as a war of conquest. 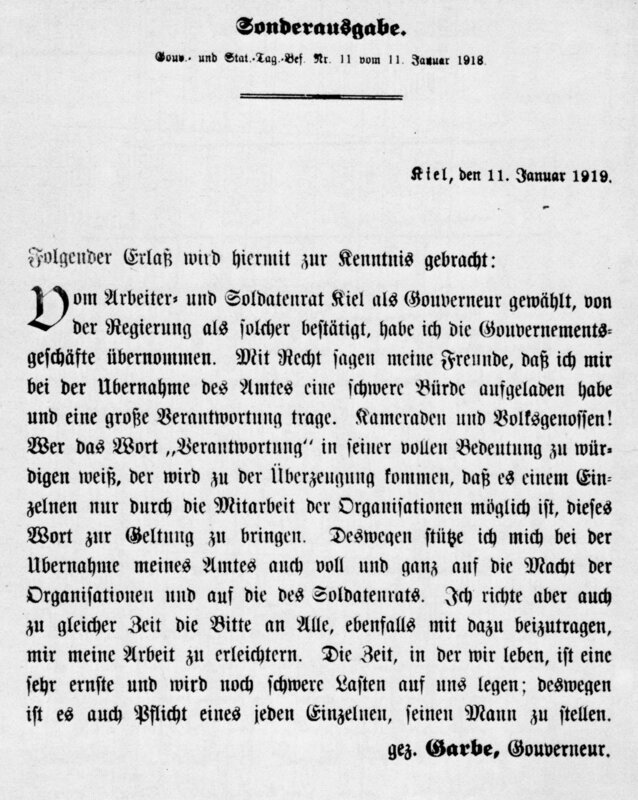 The Supreme Command (Oberste Heeresleitung, OHL) demands from the new Imperial Government (which is based on a parliamentary majority and was installed by pressure from the OHL), the Entente to be requested for an immediate cease fire. The navy command starts from Wilhelmshaven without informing the government a sortie against England, likely to end up in a huge defeat, aiming to position themselves for the next attempt to get a "place in the sun" and to secure their own future. The naval order, which was to be destroyed, was directed against the Armed Forces and Transport, in the Thames estuary and off Flanders. The possible new civilian casualties (after the sinking of the RMS LEINSTER by UB-123) would have placed the new Imperial Government again in a difficult situation. Refusals to obey orders, mutinies and sabotage by sailors from various units prevent the sailing of the fleet. The fleet commander redeploys the III. squadron to Kiel. Workers in Kiel are preparing for a general strike. Moving through the Kaiser-Wilhelm-Kanal (now Kiel canal) 48 (8) putative ringleaders of the "Markgraf" are arrested and brought from Holtenau (end of the canal in Kiel) to different military prisons in Kiel. The ships containing above 5000 personnel arrive in Kiel during the night to 1 November. Shore leave for the ships' crews. In the evening meeting of ca. 250 sailors from the III. 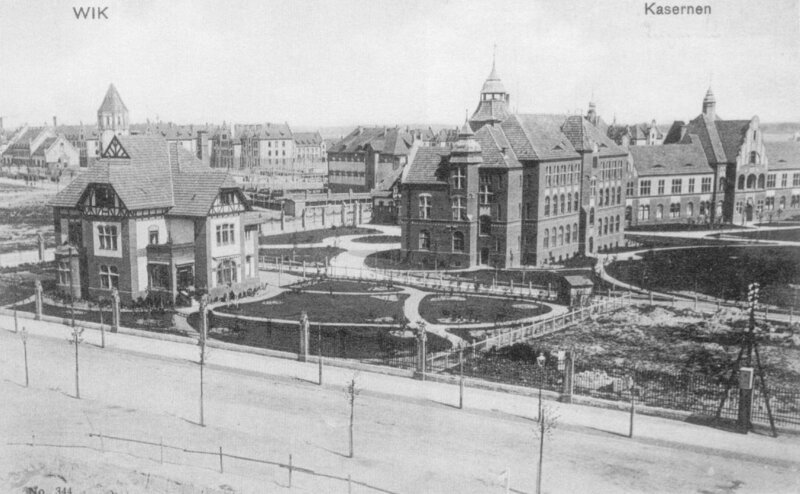 squadron in the union house in the Fährstraße (nowadays renamed to Legienstraße). Delegations demand in vain the release of their imprisoned comrades from the ships' commanders. In the evening around 19 hrs. ca. 500 to 600 sailors and some civilians gather at the large drill ground in the Viehburger Gehoelz in a demonstration. Only the sailor Karl Artelt (Unabhängige Sozialdemokratische Partei Deutschlands - USPD -) as a contributor moves beyond the demand for immediate release of the imprisoned, calls for the "overpowering of the militarism and the overthrow of the ruling class" and seeks to join hands with the shop stewards of the USPD. During this night the first leaflets are printed. The government in Berlin gets knowledge from the incidents in the navy. Morning: On board the 'Markgraf' 57 more sailors and stokers are rounded up. But they can only be brought to Fort Herwarth after "Zureden (beseeching)" the crew. 10:00 Conference of high ranking marine officers in the Stationsgebäude of Kiel. Conclusion to raise town alarm around 16 hrs., to prevent sailors from attending a meeting scheduled at 17 hrs. Telegram from governor Souchon to the Imperial Navy Authority (Reichsmarineamt) including a report and the request: "... at any cost, send a distinguished socialdemocratic parliamentarian here, to talk about prevention of revolution and revolt." 15:30-16:00 Town alarm without impact among the sailors; ca. 17 hrs. meeting of about 5000 to 6000 attendees (4/5 sailors) at the Großer Exerzierplatz (large drill ground) with the main speakers Gustav Garbe (union chairman Kiel) and Karl Artelt (USPD). A demonstration to the Arrestanstalt (military prison) in the Feldstraße starts: via Rondeel, Sophienblatt, station (a woman gets under a tram and dies), Holstenstraße, Markt, Dänische Straße into the Brunswiker Straße. Ca. 19:00 Armed clash between demonstrators and a patrol at the corner in the Karlstraße: 7 dead and 29 injured, out of these two die later on. In the evening Souchon had requested infantry from outside, but cancelled his request after the demonstration was quelled. The authorities still believe they can manage the situation. Morning: Armed sailors move from barrack to barrack, partly to the place where the incident took place in the Karlstraße, partly aimless through the town. The III. squadron except the "König", who has has been docked already, sets sail to Travemünde, hoping the flashpoint could be removed that way. The crews do not take part in casting off. This has to be done by ensigns and deck officers. Ca. 1000 sailors remain on shore. 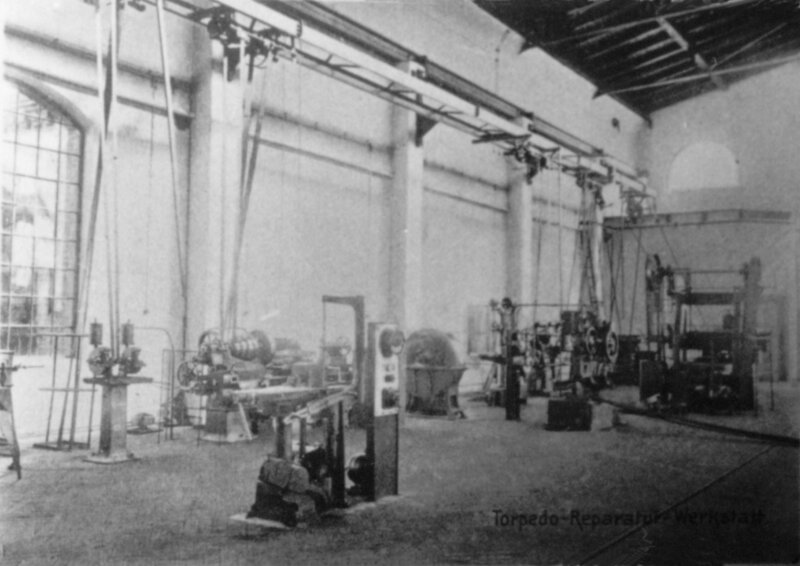 10:00 Workers of the Germania ship yard and from the torpedo workshop in Kiel-Friedrichsort down tools. Meeting of shop stewards in the union house. At 12:30 hrs. Lieutenant colonel v. Raven received the order by telephone from colonel v. Voss, the chief of staff of the IX. army corps to go to Kiel immediately, and to take over the command of the units, which were sent from outside to Kiel, from Neumuenster, Rendsburg, Schleswig and Luebeck. He went by car from Rendsburg via Eckernoerde to the Kiel main station, where he arrived at around 17 hrs. Souchon provided two naval officers to assist Raven. 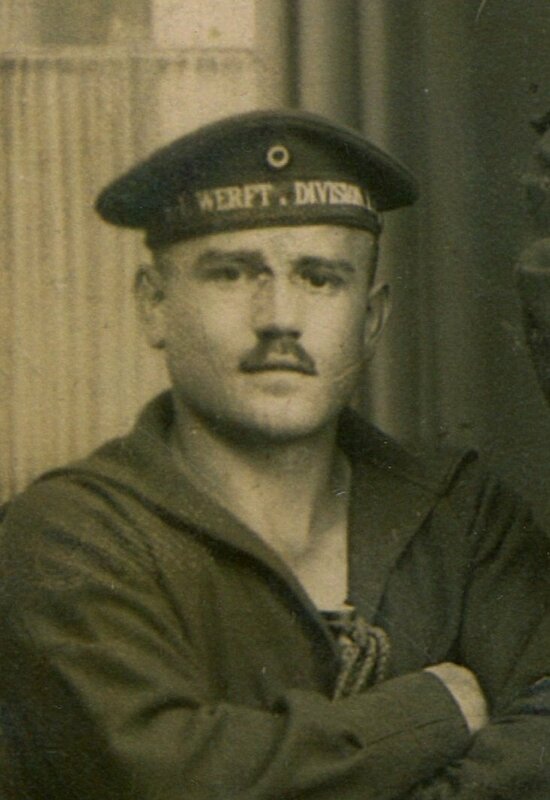 13:00 Sailors in a large barracks compound in a Northern district of Kiel refuse obedience: After a Division inspection of the commander spontanous demonstrations take place. 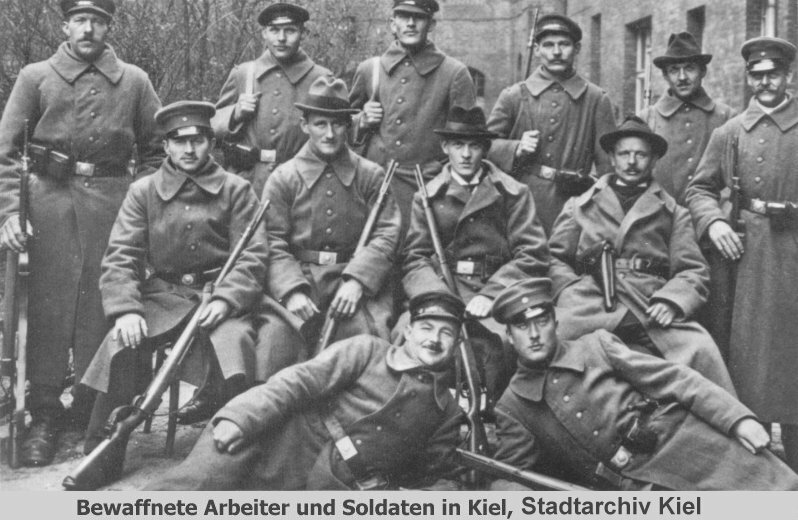 Upon Karl Artelt's initiative the first soldier's council is set up. Sailors, among them Karl Artelt, hand over 6 demands to the commander. Soon many more soldiers' councils are set up. 13:30 Town commander and master of military police admit, that they no longer control the situation. gouvernor Souchon has to switch to negotiations and announces, the wishes of the troups have to be reported to him instantly. Karl Artelt and other sailors go by car to the governor. On the car they carry a large red flag. Ca. 15:00 First negotiation of the governor with a delegation of sailors (Artelt, Ehle, Schaaf, Fischer). The governeur agrees that the prosoners are set free. The delegation drives back to the barracks in Kiel-Wik and probably meets in front of the Wiker Postoffice a unit of Rendsburger infantry. Artelt addresses the soldiers. The unit marches back. Ca. 17-19 hrs Second negotiation of the governor with sailors and representatives from the SPD and the USPD. 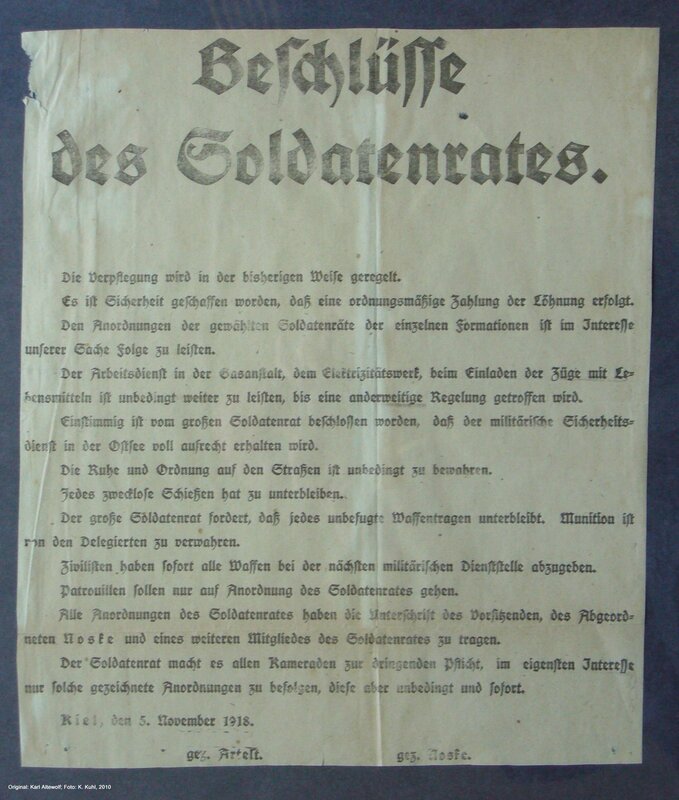 Their demands were communicated to all navy units in Kiel by the governor (>>). 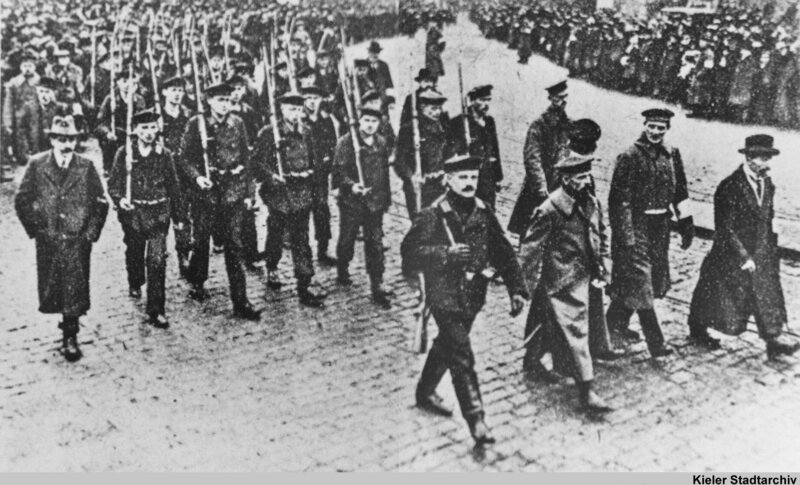 After a „triumphal procession" from the Wik to the navy prisons in the in the Feldstraße several thousand sailors receive their released comrades. The governor sends a delegation to the union house, where thousands of sailors and thereafter workplace representatives had gathered. He invites "maßgebende Vertreter (authoritative representatives)" of the workers and soldiers for negotiations into the governorate. From 20 hrs. meeting of sailors and workers representatives in the union house leading to the establishment of a soldier's and a worker's council during the night. Establishment of the "14 points of Kiel". 19.30 The envoys from the Empire Government in Berlin, state secretary Haußmann and SPD member of Parliament Noske arrive at the central station in Kiel. At sunset the war ships in the harbour do not hoist the war flag but red flags. General strike of the workers. In the early morning hours a worker's council is established. Gustav Garbe, SPD, is elected chairman. The council controls from 10:00 a.m. the city authorities, whereby the the top officials are not replaced but get so called by-appointees from the worker's council. Only the Food Authority is directly taken over by the worker's council. However, the judiary was forgotten. If not "wäre unendlich viel an reaktionären Bestrebungen hintangehalten worden (a great deal of reactionary attemppts could have been prevented" (Peter Hillbrecht, Vors. 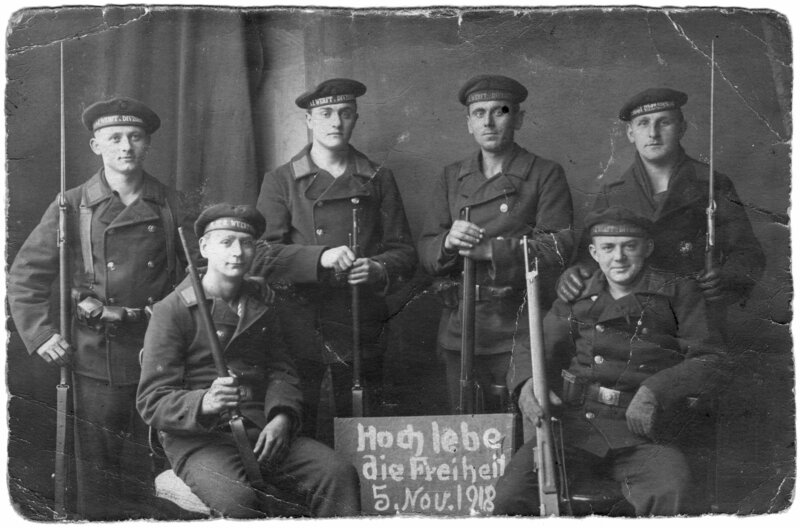 Volksrat in SHVZ 5.11.1919). In the evening town commander Heine is shot by a patrol when he resisted against his seizure. The head of the military police (who was also police president) had fled to Rügen. 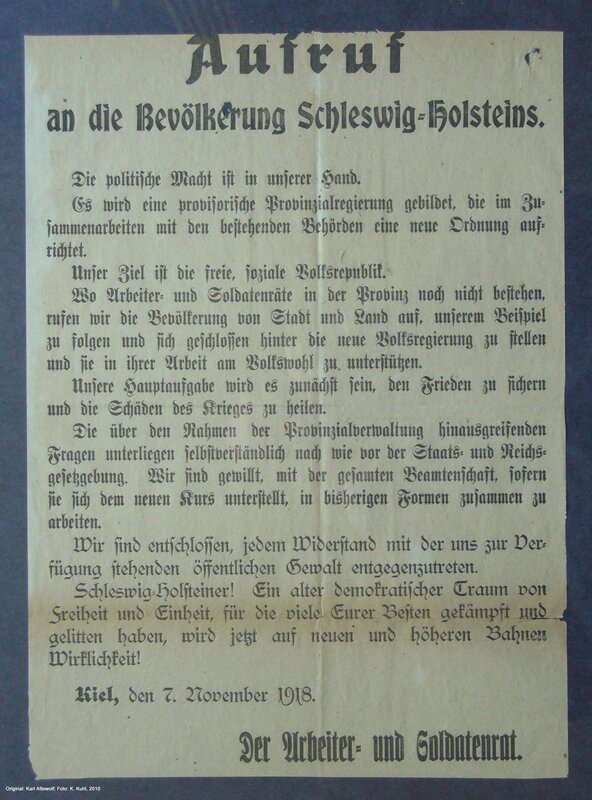 The soldier's council forbids the "set-up of patrols on own initiative (selbstständige Patrouillengestellung)" of the sailors. 13:00 hrs: Meeting on the Wilhelmplatz, Noske becomes temporary head of the soldier's council. He appoints a new soldiers council (2). The naval command in Berlin (SKL) does not wait for the decision of the government and sends a telegramm to the high sea fleet command, ordering in pretended consent with the government: any resistance has to be broken immediately, the IX. army corps shall shut off Kiel from the land side and the high sea command from sea side. At early evening Haußmann gets back to Berlin. In the cabinet he stands up for the demands of the sailors and stresses that the "case" can only be "held" by the social democrats and the unions. However the state secretary of the Empirial naval authority, Ritter v. Mann and the Prussian war minister, Schëuch as a warning demand strongest measures and a cordoning off of Kiel. The decision is postponed. Admiral Scheer proposes to the Emperor, that Admiral v. Schröder should replace the governor of Kiel Souchon and should be deployed with a brigade to Kiel. The Emperor agrees and issues, without consulting the Government, respective orders. In the evening Prinz Heinrich, the brother of Kaiser Wilhelms flees from Kiel, carrying a red flag on his car. In the evening Noske rings Vice Chancellor v. Payer and admonishes of force. The 40,000 men in Kiel could not be overpowered and the trial would make any understanding impossible. 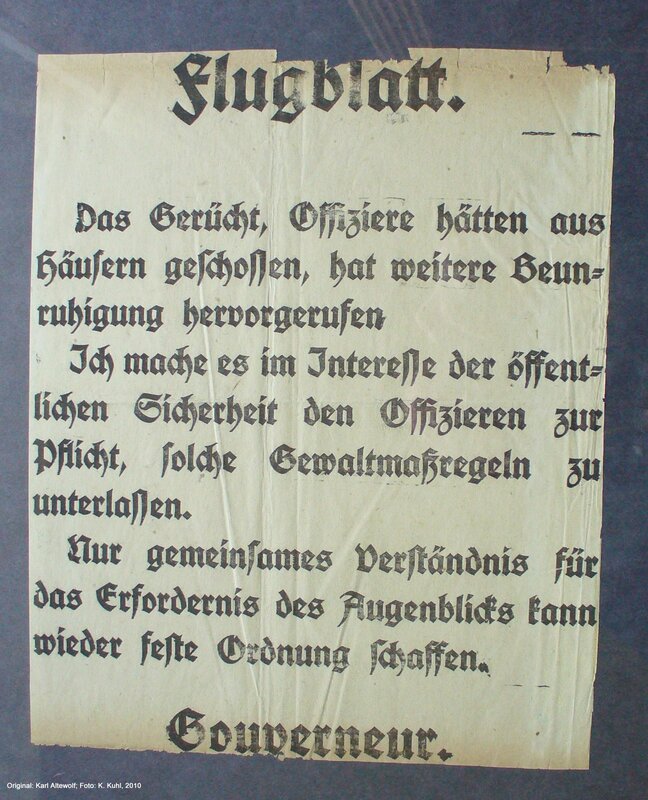 In another communication with Ritter v. Mann Noske repeats the demands for amnesty for the sailors and retirement or resignation of the Emperor. The cabinet in Berlin accepts Haußmann's proposal unanimously, because in other coastal towns unrests are imminent. To thrash these, troups from Altona were ordered, which were actually supposed to be used in Kiel. The naval command in Berlin (SKL) affirms however their orders from the day before. The Empirial Government refuses the commanding of Admiral Schröder to Kiel vehemently. Scheer suggests to the Kaiser to withdraw the order, as he also has to admit that nothing can be achieved by military force any more, and the Emperor agrees. Lothar Popp becomes chairman of the overall soldiers' council. Gustav Noske replaces Admiral Souchon as governor, Kiel gets back to "orderly circumstances". The naval command in Berlin (SKL) affirms again their above stated orders. They are not implemented only because the necessary troups were not available, as Dirk Dähnhardt notes(3). Scheidemann proclaims the republic in Berlin, Karl Liebknecht the socialistic republic. The III. squadron comes back to Kiel and and hoists the red flag as well, while coming in. Accordig to D&auml;hardt had a majority of the officers left the ships before. However, according to recently discovered reports this seems not have been the case. Delegations of the soldier's council and the officers agree, that those officers, who declare in writing not to be facing the new peoples movement in a hostile manner, will be superiors again. The emperor absolves his officers from their oath. Burial of the victims of the 3rd and 5th November in Kiel. In Berlin the "Rat der Volksbeauftragten (Council of the People's Deputies)" is established. Joint chairmen: Ebert (MSPD) and Haase (USPD). The Emperor flees to Holland. Sailors and soldiers are demobilised in large numbers. Cease fire is signed in Compiegne. Especially the submarine crews push their claim for a trasfer bonus. 18.11. According to the conditions of cease fire the III. squadron and other ships sail to Wilhelmshaven, from there to English coast waters and later for internment to Scapa Flow. Not yet moveable ships (i.a. "König") follow on 3.12. On 29 Nov. German submarines from Pola (Adria) enter port in Kiel. Noske welcomes the crews. Most of the ships were probably destroyed. End of Jan. 1919 two of them were towed to England (see Niemöller: Vom U-Boot zur Kanzel, pp. 147-148). 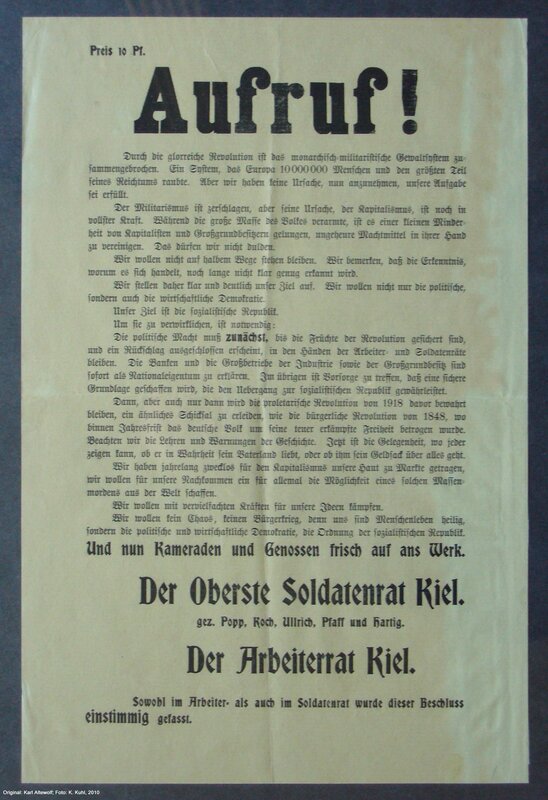 The councils in Kiel declare on 21 Nov.: "Our aim is the socialistic republic. We not only want the political but also the economical democracy." 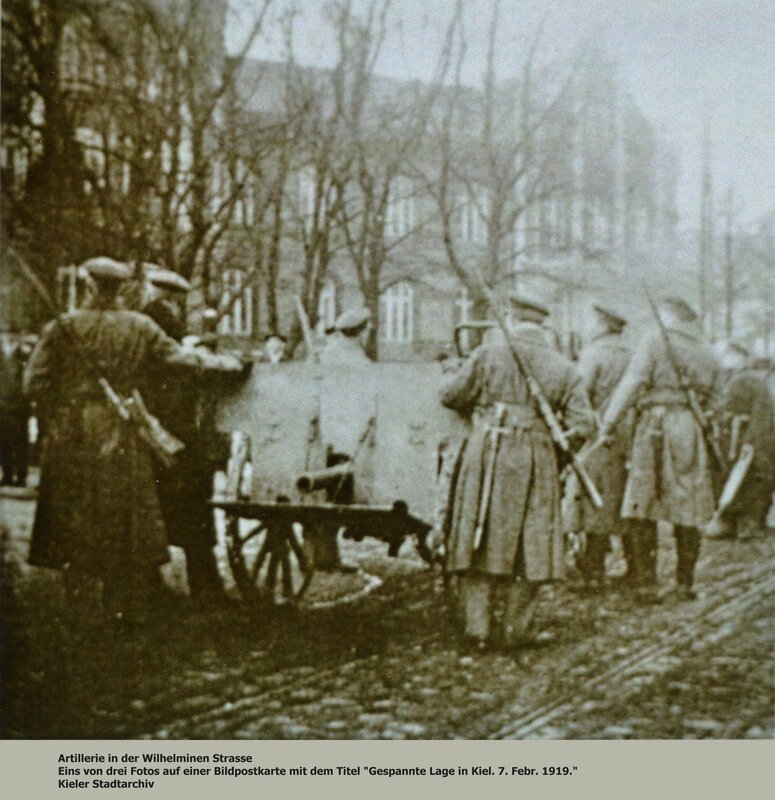 Karl Edler (MSPD) and Springer (USPD) present a report on 26 November 1918 to the Vollzugsrat in Berlin on the events in Kiel, including descriptions on how the declration of 21 Nov. was developed: >>. Korvettenkapitän Wilfried von Loewenfeld starts secretly, however with Noske's knowledge, to set up a Free Corps. This unit is based on a conspirative association of sea officers, who want turn back the political development as much as possible. 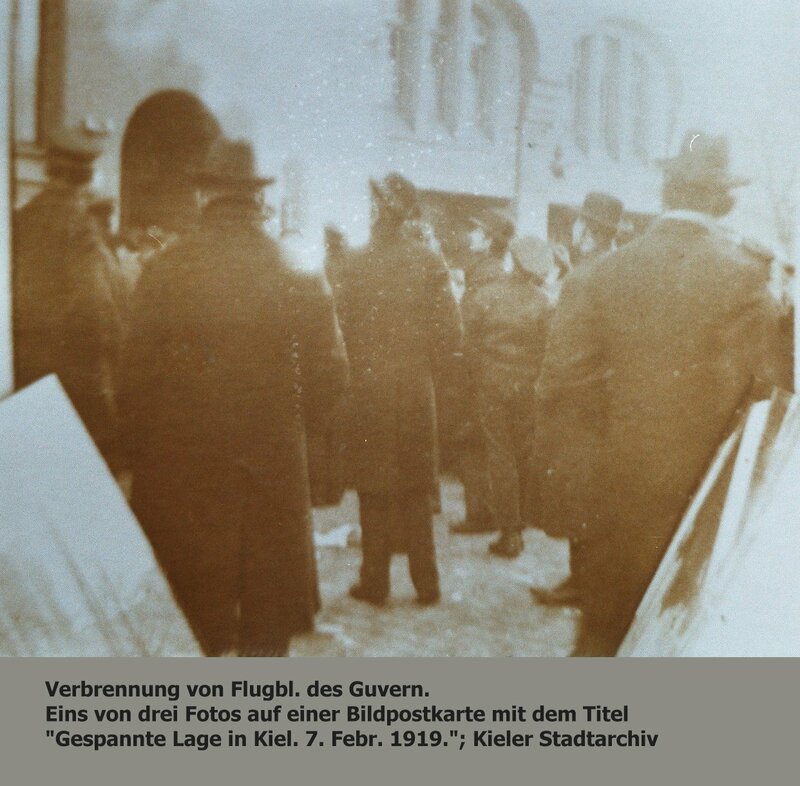 (4) The 'Loewenfelder' will later on during the Kapp-Putsch in Kiel (March 1920) commit a large blood bath among the workers in Kiel. On 10 January 1919 Noske ordered this troup, which had meanwhile filled up with officers, to move to Berlin. Lothar Popp, so far chairman of the overall soldier's council, quits the council, probably because of frustration as the councils were to hand over their power to the national assembly. Karl Artelt becomes his successor. 11.12. The fact-finding commission from UK arrives in Kiel. 26.12. Ebert asks Noske urgently to come to Berlin and to become a member of the Government. 27.12. Noske goes back to Berlin accompanied by Adolf v. Trotha. 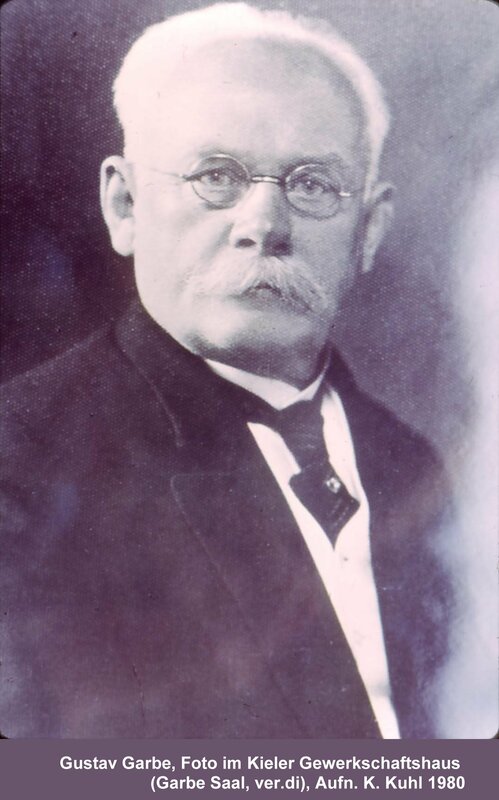 Gustav Garbe (secretary of the metal union in Kiel) becomes his successor as governor. Karl Artelt steps back; successor is at first Hartig, some days later Riefstahl..
Noske becomes supreme commander and leaves Kiel officially. Noske orders the Division Gerstenberger, in which also parts of the 1st Marinebrigade (Iron Division, Kiel) were standing, to march toward Bremen. 500 - 1000 demonstrators in Kiel demand weapons from the soldiers' council, to be able to support Bremen. Spartakists attack weapon shops and take sentries in Suchsdorf and Holtenau by surprise. Noske orders Bremen to be attacked. 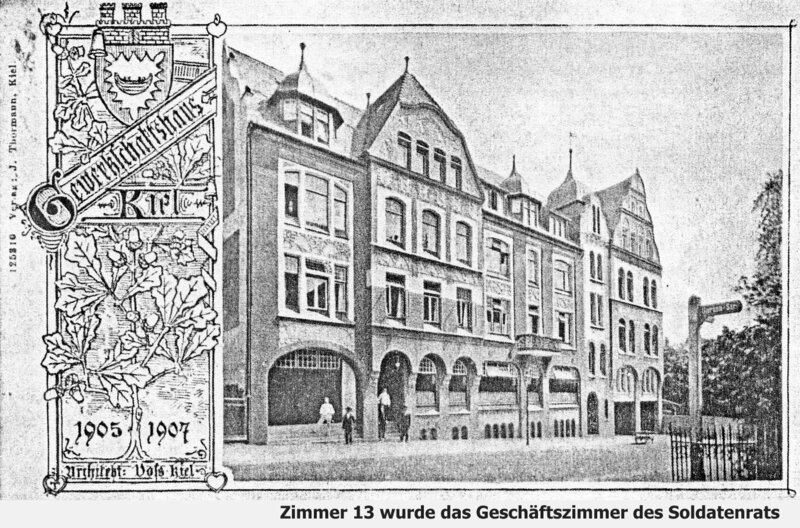 According to the Kieler Zeitung, 7 Feb.1919 (M) 8 persons were killed and 26 wounded. 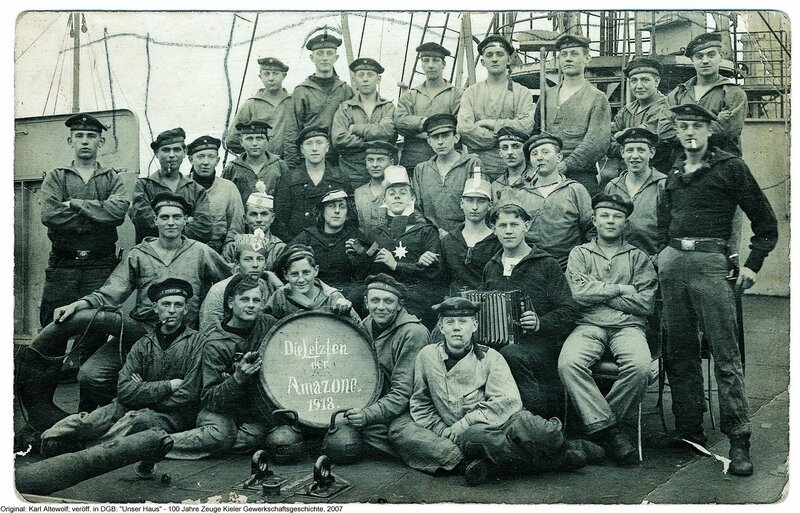 The workers of the Imperial-, Gemermania- and the Howaldt-shipyard down tools in support for Bremen. 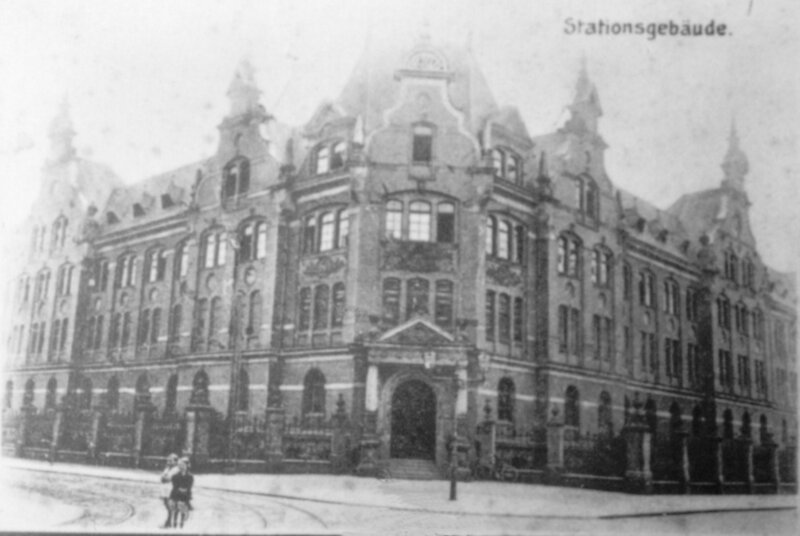 Spartakists seize the Marine Station der Ostsee for a short while and attack the barracks in the Annenstreet. 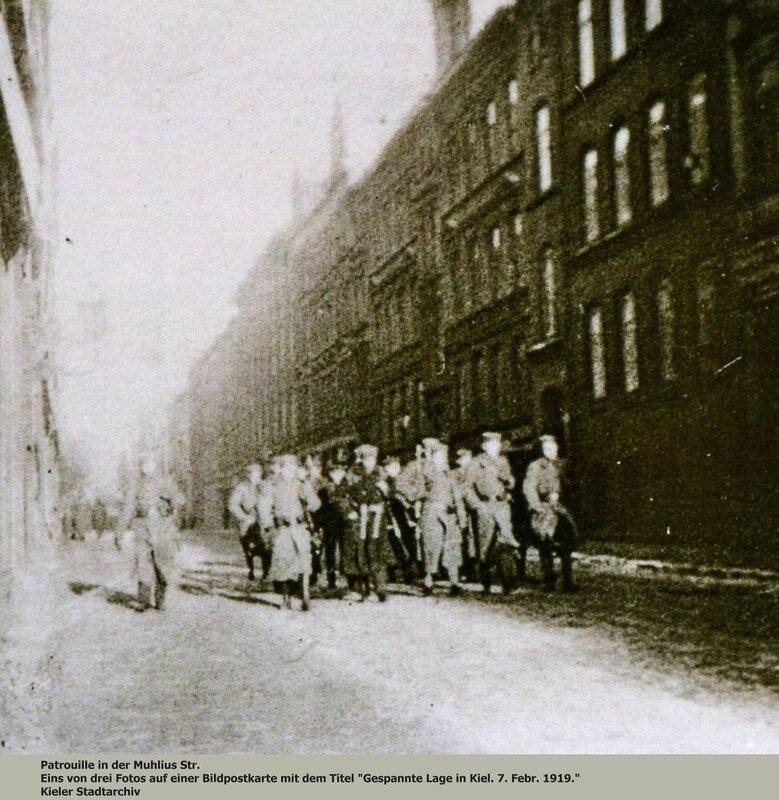 The barracks are re-taken by a group from the Sicherheitswehr (security defence) of the soldiers' council, made up of deckofficers and reinforced by students and officers (in plain clothes). The radical workers give up occupied buildings. The general strike ends. Garbe demands the return of the weapons from the students and he releases the Spartakist leaders. 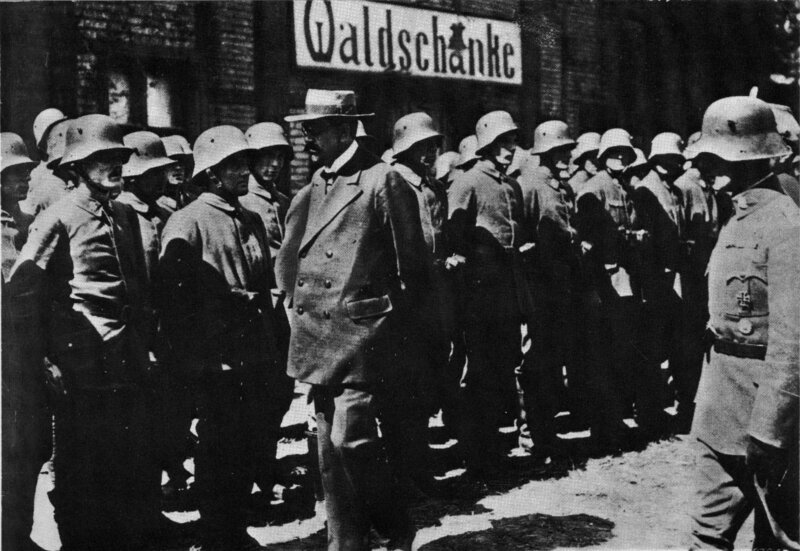 Protests of the soldiers' council in Berlin to Noske have no effect. With Noske's consent the Sicherheitswehr (security defence) of the soldiers' council is put under the control of the Loewenfeld freecorps. The suspension of the soldiers's councils is ordered. Any further payment for the workers' council is refused by the mayor Lindemann. Rolf Güth, "Marineführung und Meuterei 1918" in "Schiff und Zeit" 7/1978, p. 5, Hrsg. Dt. Ges. f. Schifffahrts- und Marinegeschichte e.V. Annotation 5: Wolfram Wette: "Gustav Noske - Eine politische Biographie", Droste Verlag, 1987, p. 233 f.
Annotation 6: Wilhelm Deist: Die Ursachen der Revolution von 1918/19 unter militärgeschichtlicher Perspektive. 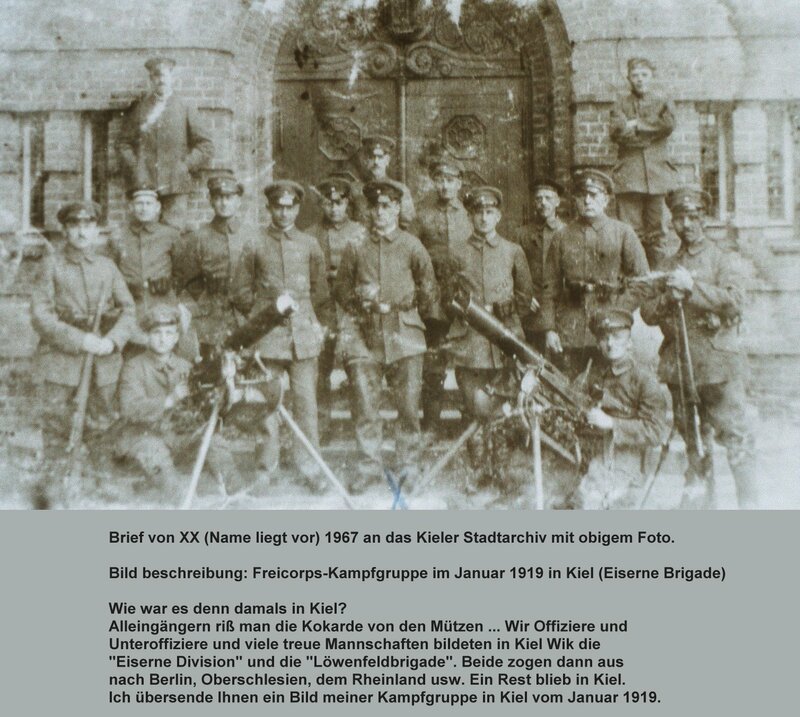 In: Wilhelmshavener Museumsgespräche, Texte zur Geschichte der Stadt, Band 2, Die Revolution 1918/19 - 70 Jahre danach, Vortragsveranstaltung der Stadt Wilhelmshaven am 28. und 29. Oktober 1988, bearbeitet und herausgegeben von Norbert Credé im Auftrag der Stadt Wilhelmshaven, Stadt Wilhelmshaven, Küsten Museum 1991. Anm. 7: Becker, Jean-Jacques/Krumeich, Gerd: Der große Krieg. Deutschland und Frankreich im Ersten Weltkrieg 1914-1918. Essen 2010, S. 272 f.
Wehler, Hans-Ulrich: Deutsche Gesellschaftsgeschichte, Bd. 4. Vom Beginn des Ersten Weltkrieges bis zur Gründung der beiden deutschen Staaten 1914-1949. München 2003, S. 152.